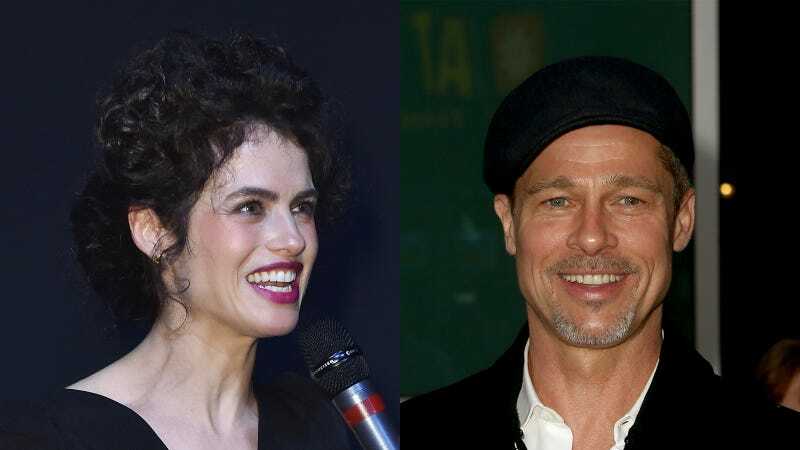 Because there are no official photos of the two of them canoodling on the sidewalks of Cambridge, actor Brad Pitt and smart person Neri Oxman’s relationship is still nothing more than very believable rumor. But that isn’t stopping tabloids like Us Weekly from dishing out some hilariously detailed gossip about their alleged romance. This week, they published a story with what I contend is the best-written headline—by any publication anywhere—of the month: “Brad Pitt and Girlfriend Neri Oxman ‘Talk on the Phone Several Times a Day’ and ‘Are Very Infatuated With Each Other.’” In the accompanying piece, it becomes abundantly clear that Pitt is well into chapter three of Marrying Up: George Clooney’s Handbook For Nabbing A Smartypants Who’ll Make You Relevant and Respectable In Middle Age, as the two are in constant communication with one another and are excited to see where the relationship goes. A source, who could be literally anyone but Angelina Jolie or Jennifer Aniston, claims they “talk on the phone several times a day and are very infatuated with each other.” Fair! She’s a smart MIT professor who gives TED Talks on, like, wearable biology????? (Don’t ask me to explain STEM-related things.) And he’s a member of the Hollywood elite who makes up for his lack of book smarts with smoldering good looks, a 420-friendly-sensi-daddy/divorcé-who-sculpts-now narrative, and plenty of fun stories about other famous people.